Marriage changes a lot of things. One of which is the degree of responsibility that you bear. When I was a bachelor, I never really bothered about how well I archived any of the pictures I shot. It was never my responsibility to be the steward of all the digital data that was close to my family. But now, as a married man, I somehow feel that burden has fallen square on my shoulders. I don't want to be in a position where my little girl grows up and asks me "Dad, don't you have any pictures of me when I was two?" and I say "We had a lot sweetheart, but we umm...lost them along the way". As a child I remember this exact scenario playing out, I can't blame my parents, it is not an easy task to manage a lifetime's worth of memories. But in this day and age I have no excuse whatsoever to be careless on this front. This entire topic popped up in my head when my mother-in-law made a statement about how we just keep taking pictures on our digital cameras and phones and then we either lose the phone or our hard disk crashes. That got me thinking about this topic in detail. I really appreciate how my mother-in-law has painstakingly created physical albums that range from important family events to albums that document her children's lives as they grew up. I can literally flip through some of those albums and see my wife grow up in front of my eyes. I thought about this option and these were the Pros and Cons that I could identify. It is a tangible book which is a lot harder to lose than a digital file. A physical album has a certain charm about it, a lot like reading a book as compared to an ebook. Nobody can accidentally delete one. You can also include related material to an event. For instance a physical invite to your wedding can be attached to an album or your baby's first sock can be stuck on one of the pages. These albums are heavy and occupy a lot of space. They are expensive, an album with about 200, 6x4 inch photographs will at a minimum cost you about INR 2000. If you were to make a photo book it would be a lot more expensive. They can catch fire. In the unfortunate circumstance that a fire breaks out at home, these albums don't stand a chance. Unless of course you store them in duplicate across geographic locations; which is an expensive and far-fetched idea. They are susceptible to moisture, bugs, coffee spills and every other problem that a physical book can potentially suffer from. If you want to share a photograph with a family member you need to give it away for good. People steal photographs from albums. I know this sounds pretty low, but I've heard a lot of people complain about this. You need to be at home to view the contents of an album. Unless you carry it everywhere you go. Obviously, in my eyes, the cons outweigh the pros. I think that a physical album is not a secure solution. It is worth investing in them for important occasions, but not for the reason of creating a solution that has redundancy. We all use them on a daily basis; be it an internal drive or an external drive. That being said, I've not met anybody who has not had a hard drive fail on them. It's not that they are useless, but they are susceptible to failure. That's where RAID drives come into play. RAID stands for a Redundant Array of Independent Disks. Which is quite a self-explanatory abbreviation really. For fellow non-geeks out there, the concept is pretty simple; data is stripped down and stored on 2 or more hard drives, so if something happens to one of the hard drives, the data can be rebuilt from the backup drive. There are different levels of RAID, where more and more drives are utilised. The higher the level of RAID the higher the degree of redundancy. I'm hoping that is a simple explanation of this concept. You can read up more about it in detail on wikipedia. These are the pros and cons I could identify for this solution. RAID drives are far more secure than a regular hard drive. You can create a cheaper Software RAID with two regular hard drives. 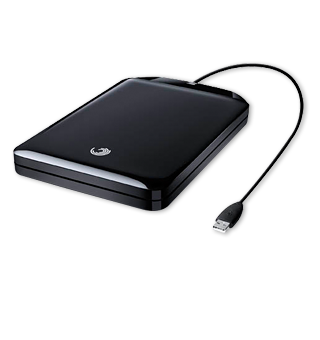 As compared to physical albums, a drive can store all your digital data, not just your photographs. They are expensive. A 2TB (effective space) RAID drive is at least 3 times the cost of a regular 2TB drive. A 2TB RAID drive running on RAID 1 gives you only 1TB of effective space. So not only is it expensive but you halve your effective space with every purchase. You need to be a bit of a geek to make this solution really work. RAID is not the most user friendly of experiences. Software RAIDs are cheaper but not reliable at all. I used a software RAID on a film production and had a terrible time with it. I was trouble shooting most of the time. RAID drives are susceptible to all the physical damage an album can suffer; fire, water, an out-of-control pet etc. Fixing a damaged drive in a RAID system would obviously entail an additional expense. You can access your files only at home. They are bulky and mostly require a power source. So they are not portable. Clearly not a very balanced situation here. Maybe I'm biased against RAID, but if you can give me a few more pros I would definitely add them to this post. Yes we've all heard about it. The infamous Cloud revolution that has changed the way we look at storage. A service that rids you of the responsibility of maintaining a storage facility with redundancy built-in and gives you easy access to data as long as you're connected. The problem that people have with Cloud services is the stigma of paying for something that is seemingly intangible. You don't receive the same dose of Dopamine that you get when you buy a product with packaging and the new plastic smell. As someone who earns my daily bread on the creation of intangible components, I know for a fact that people have an issue with this. If I only had a dollar for every time someone said "Oh that's how much you charge? Do I get an album?". Once you get over this hurdle you will realise that the benefits of this technology are as tangible as it gets. I for a fact am quite convinced. So here are my list of Pros and Cons. No need to purchase any hardware. You don't have to maintain a redundant storage facility. Data is stored across servers in multiple countries across the world. A fire, or even a bomb blast cannot wipe out all your data. If your computer gets damaged or catches fire your data is still safe. Data can be accessed on most devices that are connected to the internet. Most cloud services offer a sync feature which allows you to create a folder on your machine that acts just like regular hard drive where you store files that are automatically sent up to the cloud. It is not a one time payment. You need to pay for as long as you use the service. You can argue that this involves sharing personal data with an evil corporation who is out to rule the world. You can get hacked and have your naughty pictures splattered over the internet like poor Jennifer Lawrence. Again, if you can think of more pros and cons tell me about it...I will add them to this post. No extra points for guessing that I prefer this option to the previous two. Back at the Lazaro office we've been exclusively functioning and storing all our data in the Cloud for the last 2 years and the benefits we have experienced are tremendous. Mark (thoroughbred geek brother) has tested a whole bunch of cloud services at the office and finally landed on one called "Cubby" that we've been using for over 2 years. We've been able to restore files to previous versions, sync content across machines and access data at a clients office. It's truly amazing. Cubby was definitely on my list of contenders for a personal cloud service. But I decided to go window shopping and check out the competition. Some of the other contenders that got my attention were Google Drive, Dropbox, Amazon Cloud Drive, Cubby and OneDrive. They all seem like robust options, with features that are very similar. Dropbox's cheapest plan is 1000 GB (1TB) for 9.99$ per month. That's 119.88$ per year, which is roughly INR 7430 per year. Google Drive's cheapest plan is 100GB for 1.99$ per month. That's 23.88$ per year, which is roughly INR 1481 per year. Cubby's cheapest plan is 100GB for 3.99$ per month. That's 47.88$ per year, which is roughly INR 2965 per year. Amazon Cloud Drive's cheapest and most relevant plan is 100GB for 50$ per year, which is roughly INR 3100 per year. OneDrive's cheapest plan is 100GB for 1.99$ per month. That is again 23.88$ per year, which is roughly INR 1481 per year. These rates are as of the 20th of November, 2014. So Google and Microsoft's OneDrive (as of now) are the cheapest options I could find. I'm currently using Cubby because I paid for a one year plan a while ago at a time when Cubby was the cheapest. I'll probably take a choice of shifting at the end of this plan if Cubby's rates don't get competitive. Although depending on how much data you have Dropbox's 1TB plan is pretty sweet, especially if you decide on backing up all raw files. But honestly this decision is up to you, you can take a call on price or service and you can also switch services when you feel it's necessary. There is no long term commitment that stretches past a year. I've personally frozen on a combination of two solutions, Hard Drives and Cloud Storage. In the unlikely event of data being lost in the Cloud, I have two backups on two separate external hard drives which I manually backup. Curate what you put up. Don't just copy a whole bunch of stuff. See if it really matters. If your a photographer like me. You probably always shoot RAW. I decided to not store my RAW files in the Cloud. I store them in duplicate across my two external drives that I back up manually (cause I'm terrified of auto-backup softwares, been bitten too many times). The thing about RAW files is you tend to shoot 4 or 5 shots of the same scene and then when you head back, you select the best one and export that to a jpeg. So filtering relevant jpegs is a must for space optimisation. That being said if you can afford the additional space, by all means backup your raw files. My Hard Drives are then primarily divide into 2 folders. One folder has a copy of every file backed up to the Cloud. The other contains all the files (such as the raw files) that I have decided not to store on the Cloud. I suggest being as specific as possible in naming Events. You may lose context over the years. For example, if you take a holiday to Coorg in 2013, 2013 > Coorg Trip should suffice. If you also went to Coorg that year for a wedding then Coorg Trip - March and Coorg - Vinay's Wedding would be a clearer option.